If you think marriage proposals always have a happy ending, you're wrong. 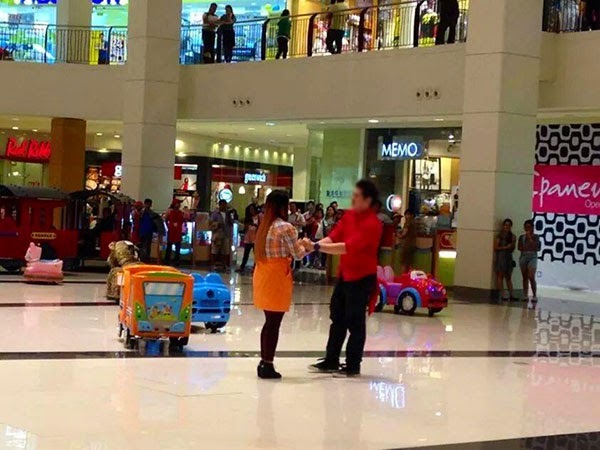 In these viral photos, the girlfriend apparently walked out and rejected her boyfriend's marriage proposal inside a high-end mall. 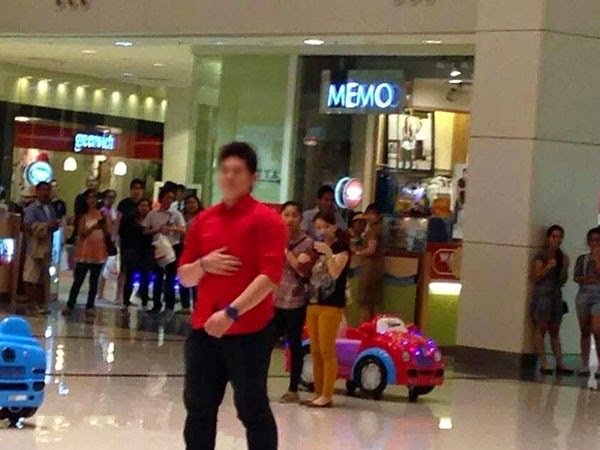 According to our source, the failed marriage proposal happened recently at the Abreeza Ayala Mall in Davao City. 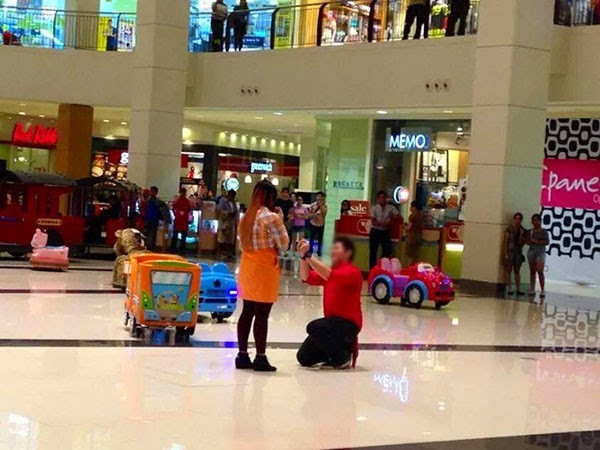 The guy was asking his girlfriend to marry him; he knelt on one knee while popping the question as mall goers were shouting "yes!" Unfortunately, it did not turn out the way he expected. The girl rejected his proposal for marriage and walked away. It wasn't a real marriage proposal. 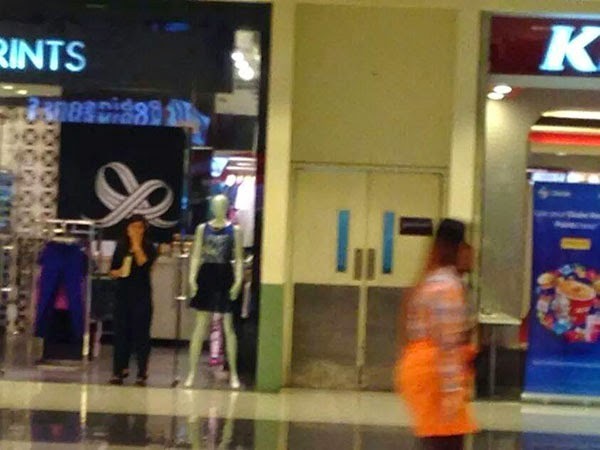 Our source said it was a promotional activity of the Go Away Shop in Abreeza.